A competitive, quick-moving romp through the world of Warcraft. 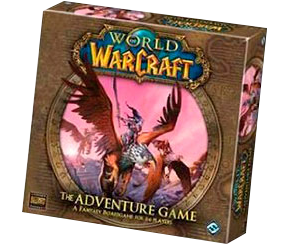 Fantasy Flight have released several games in Blizzard Entertainment’s World of Warcraft, and this offering is an adventure game that is easy to play and a lot of fun, and probably the most successful of the bunch. Not a game with a lot of player interaction, but an excellent example of the adventure genre.